The Queen’s Honours List 2016 has been a matter of great honour in particularly for the British Pakistani community. Two London-based individuals been awarded the Commander of the British Empire (CBE) Award. 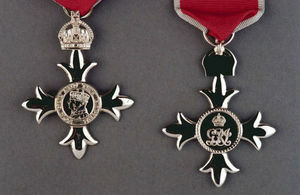 As many as eight have been honoured as the Outstanding Member of the British Empire (MBE), and three have been recognised as Medalists of the Order of the British Empire. These individuals from business, charity, youth, social and health services, and local government sector from across the UK have been selected for their outstanding contributions. Here’s what some of them have to say on being honoured. Here’s a complete list of honourees of Pakistani origin. Awarded the CBE 2016 for services to the wholesale and charity services in UK and abroad. Awarded the CBE 2016 for services to women and social integration. Awarded for services to Interfaith and Community Cohesion in Preston, Lancashire. Awarded for services to Women’s Rights and Community Cohesion in Rotherham, South Yorkshire. Awarded for services to the empowerment of women in Leicester. Awarded for services to Business and Community Relations in Birmingham. Asad Razzaq, leader for Community Action to Change Harehills. Awarded for services to young people and the community in Harehills, Leeds. Abdullah Rehman – chief executive of Ballsall Heath Forum. For services to the community and charitable fundraising in Burton-on-Trent, Staffordshire. For services to Business and Community Relations in Birmingham. Sarfaraz Alam Mian, Chief Executive Officer, Neue Schule Limited. For services to UK Trade in Middlesbrough, North Yorkshire.